Dark matter effects explained with the expansion of the universe produced by stars inside galaxies. 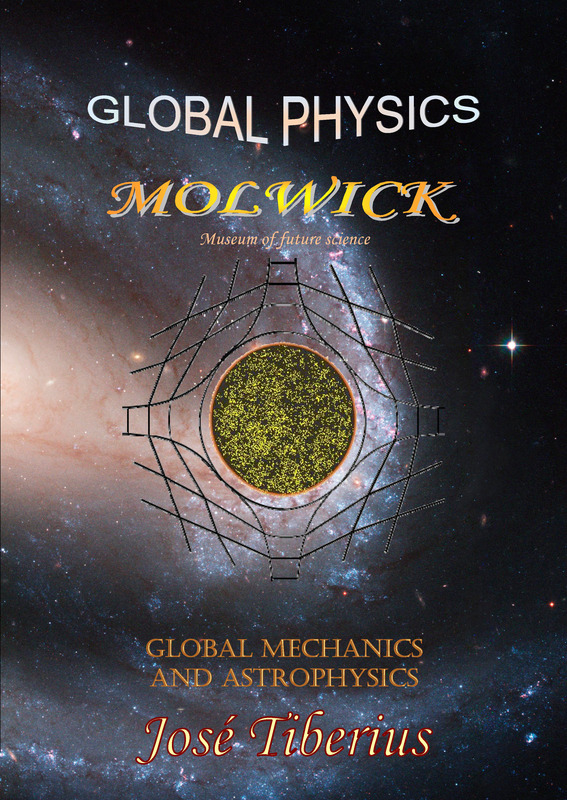 It contains a mathematical analysis for the Milky Way with experimental data and results. According to Modern Physics, the presence of mass not directly detected could also provoke a similar velocity of the stars in galaxies. Thus, the name of this mass is dark matter. There has also been an attempt to explain the abovementioned natural phenomenon of the rotation of galaxies alternatively, with a minimum intensity of the gravitational field. 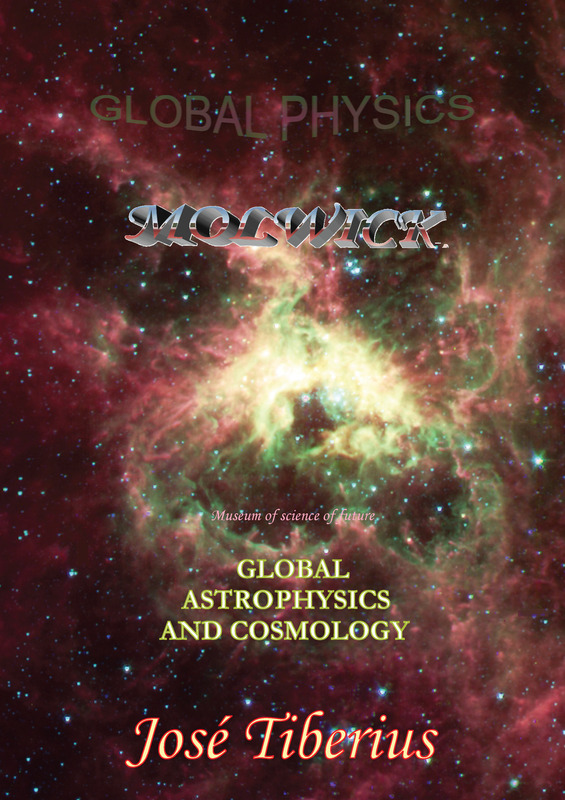 Global Astrophysics proposes a possible solution to explain observations within its physical model, based on contraction or expansion of the Global Aether –or the less intuitive concept of space with mechanical properties. MOND –Modified Newtonian Dynamics– is a proposal of modified gravity called, put forward by Mordehai Milgrom in 1981 as a modification of Newton’s Second Law or Fundamental Law of Dynamics –Wikipedia. The most important criticism made to this proposal of modified gravity or MOND is to be an ad hoc theory. Another noteworthy criticism is to be a mathematical modification of Newton’s Second Law without providing a physical justification for it. In theory, without the gravitational minimum, the only existence of a large quantity of dark matter would maintain the velocity of the stars in spiral galaxies. According to Wikipedia, dark matter comprises up to 90% in most galaxies. It seems that, in addition to a substantial amount of dark matter, there must be a strange distribution to achieve a similar speed of the stars. When physicists say NASA or the Dark Energy Survey ➹ confirm the existence of dark matter as a halo in galaxies, what it means –or they should report to the public– is measurements obtained of the linear velocity of the stars would require the existence of dark matter to be coherent with the current gravitational model. Of course, this is all assuming it is, in fact, a gravitational effect of dark matter. In other words, what they confirm is the correction of measurements of linear velocity that they have made –not the hypothesis of dark matter. Although we must understand, the term dark matter itself means it could be anything. The velocity of stars close to the center of a galaxy increases as their distance to the center increases because their classical gravitational displacement depends on the mass of all the astronomical objects, not just the central black ball. 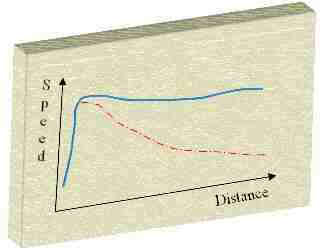 Once this effect disappears, the velocity should decrease once again. Mass moves as a slipknot in the Global Aether –a 3D grid of elastic filaments. When there are enough electromagnetic energy mass forms within a reticule, and Global Aether is compressed. The reticules avoid the knots to get undone. While the stars are losing mass, they are producing the expansion of the Global Aether. The expansion of the universe does not push a lot the other stars because the interaction stars-Global Aether has the quadratic relation v^2/c^2 –like kinetic energy and mass but the opposite effect–, so it looks the expansion generates everywhere. Global Physics theory was not designed to explain the expansion of the universe but it does, and dark matter is not necessary anymore. According to the mechanisms seen in the previous subsection 1.c.2.b) Dark Energy in Global Physics, there is a natural explanation about the similar linear velocity of stars of galaxies. Let us consider the simple experiment of a balloon inflating, like when the explaining the expansion of the Universe. If, instead of drawing dots on the surface, we were to imagine an elastic bar in the radius from the center to the surface, and we were to bring dots on this bar; when the balloon inflates, dots would also get further and further away from each other. Global Astrophysics incorporates effects of expansion and contraction of the Global Aether. Its combination with classical gravitational forces could get us closer to a physical explanation for the velocity of stars in galaxies. An implicit element in concepts of contraction and expansion of the Universe in Global Mechanics is a drag of mass to a certain extent by the Global Aether –inverse movement in the book Physics and Global Dynamics. One must consider a train drags a passenger with it, but this does not mean the passenger cannot move on the train. Let us remember that Global aether is not the gravitational field; one thing is the three-dimensional material structure of Global Aether, and the other is the tension of its longitudinal curvature. This tension –or gravitational field– can move without a Global Aether displacement; other times, the opposite can also occur. One must also not forget that, because electromagnetic energy moves on the tension of longitudinal curvature of the Global Aether –by Global Mechanics–, relativistic interpretation of the information we receive may see enthralling effects upon the supposedly observed reality. Another way of presenting the proposal of Global Astrophysics is using a simple sequence of images. In the first column, one can see a galaxy with stars very close to its center. In the second, expansion of outer space provoked by the stars has made the galaxy increase in size. Finally, in the third column, the space occupied by the galaxy is much more extensive. This sequence of images shows how the expansion of the universe is cumulative for the stars that are far away from the center of the galaxy. At the same time, its linear velocity will maintain and, therefore, will be higher than it would have in a stable orbit corresponding to its new radius according to the model of gravitational effects. The figure also shows how the closest star causes a smaller expansion than the rest, due to contraction of the universe that probably occurs in the surrounding area of the center of the galaxy. The more modest increase is not only due to the supermassive black ball that almost certainly exists but also due to multiple black holes that will exist and the little accumulative effect of the stars. Perhaps the comparison between those galaxies with the phenomenon above of faraway stars and those in which it is not present, or it appears with less intensity could shine some light on dark matter topic. If proposal put forth by Global Astrophysics is correct, those galaxies in which the phenomenon does not occur should be smaller contain many black holes or fewer stars. (This paragraph is some years older ➹ than the next news). An international group of astronomers observes a strange galaxy that can change theories about how these star groups form. Supposed expansion of the Universe provoked by the Sun does not “push” the Earth away; as is to be expected, the effect is minimal. Perhaps it would be larger if the bubbles in the figure represented billions of stars in a particular galaxy and billions of years. We must take into account that the expansion of the universe is 70 km/s Mpc according to the detection of gravitational waves from neutron stars merger by LIGO experiment. The inverse movement previously mentioned would imply that the mass has a drag effect on the expansion of the Global Aether as a function of the quadratic relation of its velocity concerning velocity of light. On the contrary, according to Global Physics, gravitational field –luminiferous aether or tension of the longitudinal curvature of Global Aether– has a full drag effect on light. Global Astrophysics concludes the expansion of Global Aether causes the stars’ speed in the galaxies to correspond to their initial stable orbit and higher than the corresponding velocity of their current orbit if we only take into account the gravitational effects. As a result, the stars are in an unstable orbit and they will never return to a stable orbit. An analysis of galaxies from 10,000 million years ago shows that visible matter dominated. Now, the dark one determines the way they turn. With this mechanism, dark matter is not necessary to clarify rotation of the galaxies, as it was it not necessary to elucidate gravitational lensing without mass. Furthermore, it is the same mechanism used to illuminate the so-called expansion of the universe or, correctly said, expansion of the Global Aether. Also, let us remark that this mechanism is implicit in the concept of mass contributed by Global Physics; and used both in his new atom theory in Global Mechanics and in the development of its motion theory in Global Dynamics. On the other hand, these ideas also configure a theory of the origin of the stars, since all of them would have been born in their initial orbits. There is experimental verification of expansion within galaxies. The Wikipedia ➹ article on the Milky Way indicates, "The Near 3 kpc Arm (also called Expanding 3 kpc Arm or simply 3 kpc Arm) was discovered in the 1950s ... It was found to be expanding from the central bulge at more than 50 km/s." Similar velocities mean that they were born in same distance zones from the center for each galaxy. It explains the existence and formation of the spiral galaxy arms. There will be a relationship between the arms and the age of the stars. In Wikipedia ➹ "In December 2013, astronomers found that the distribution of young stars and star-forming regions matches the four-arm spiral description of the Milky Way. Thus, the Milky Way appears to have two spiral arms as traced by old stars and four spiral arms as traced by gas and young stars. The explanation for this apparent discrepancy is unclear." The existence of arms in the spiral galaxies implies places of intense star formation at the beginning of them. The different periods of star formation seem to indicate that mass creates in the initial zone, which could indicate the presence of large electromagnetic fields. The same argument, but used inversely, could be used for the drastic fall of stars starting at 40000 light years from the radius of the Milky Way. We have performed a mathematical analysis for the Milky Way with very satisfactory results, although we must take into account the large margin of error existing for various reasons in some of the data used. The calculated expansion is 2.50169E + 20 m, which is almost 50% the radius of the Milky Way, which is 4.72713E + 20 m. Naturally; we pick some figures to achieve such an excellent result, but always within reasonable limits. Nevertheless, we would like to remark that the expansion obtained is more conservative than the 50 km/s mentioned in the cited Wikipedia article of experimental observations. This high figure seems to confirm the ideas of inverse movement, the acceleration on it that produces the constant expansion of the universe and the unstable orbits. i. Mpc star position in MW * 5 Origin of exp. * These elements are included by the explanations of the Global Physics. The expansion adjustments by the application of average expansion to the stars of the Milky Way and the inverse movement due to the effect of the expansion of the universe on the displacement of the stars over the global aether. This presentation is very general and renormalizable. Anything, but stretching space, shrinking time, or shoving things into other dimensions.